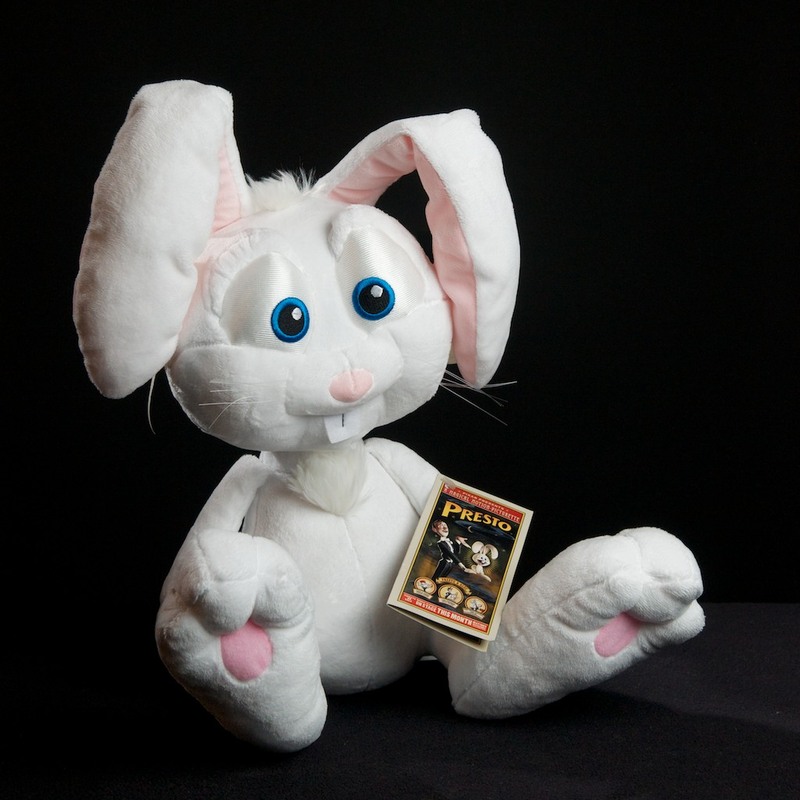 Alec Azam, the crafty rabbit from the Pixar short Presto, was released to Disney Stores and Pixar Animation Studios in this adorable plush form. With his floppy ears, wiry whiskers and big buck teeth, this plush has every detail from the original short. The tag features the movie poster from the short — it's a tag that we feel too guilty to remove because it's so detailed. Though the Presto plush is hard to find now, you can still find him on eBay. Click here to view the current auctions of Alec on eBay . If you enjoyed this review, see our review on the For the Birds plush. Pixar Presto Alec Azam plush toy.